item 7 Pureology Hydrate Conditioner 33.8 oz. 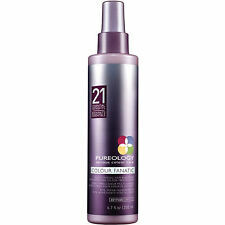 -Pureology Hydrate Conditioner 33.8 oz. "Pureology Perfect 4 Platinum Miracle Filler Treatment, 4.9 Ounce"
Keeps color treated hair healthy in appearance and feel. I am quite impressed with quality. I’ve used Pureology for years. Best I’ve found for color treated - sometimes dry - curly hair. At times the weather is dry and my hair gets dry too. Just a little extra Pureology conditioner and it keeps my hair soft and shiny. I have been using this conditioner for the last few years, love it! It is lightweight and smells fresh. I’ve been using this conditioner for years and it has always proven to keep my hair super healthy despite all of the highlights and bleach. Delivery was prompt as well. The BEST conditioner out there! I have super thick and very curly hair and this conditioner is the BEST! I've used it for years and just love it. It tames the frizz and softens the parts that need it. Nothing is better...and I've tried just about everything!